Meet Stanley Huang: father, husband, ex-husband, man of unpredictable tastes and temper, aficionado of all-inclusive vacations and bargain luxury goods, newly diagnosed with pancreatic cancer. Meet Stanley's family: son Fred, who feels that he should be making a lot more money; daughter Kate, managing a capricious boss, a distracted husband, and two small children; ex-wife Linda, familiar with and suspicious of Stanley's grandiose ways; and second wife Mary, giver of foot rubs and ego massages. For years, Stanley has insistently claimed that he's worth a small fortune. Now, as the Huangs come to terms with Stanley's approaching death, they are also starting to fear that Stanley's "small fortune" may be more "small" than "fortune." 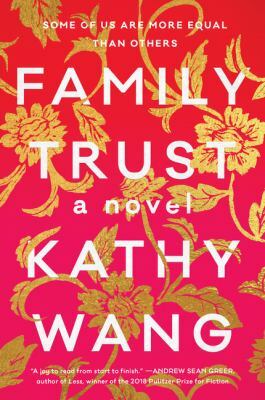 A compelling tale of cultural expectations, career ambitions and our relationships with the people who know us best, Family Trust draws a sharply loving portrait of modern American family life.